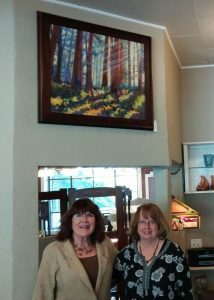 Inside Strictly Mission, find Michele’s 24×30 inch oil painting Redwood Mist, Shown above with shop owner Sharon and artist Michele..
During the recent Soquel Sip and Stroll, I discovered a wonderfully compatible business for my art, and I am now represented by Strictly Mission, a furniture, art and design shop on Soquel Ave in Soquel. 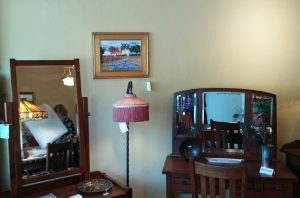 This relatively new venue features mission style furnishings and other accessories for the home from the Arts and Crafts period of American art. Sharon and Clayton moved their store from Aptos, where they were in business for many years. 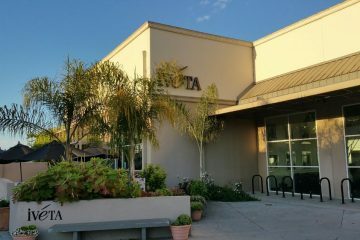 Their shop is on the section of Soquel Drive near The Ugly Mug (great chocolate sorbet) and Aldos Bakery (pastries, breads and more). 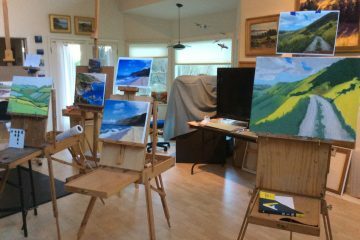 4620 Soquel Drive, Soquel, CA 95073. There is ample parking in the rear. 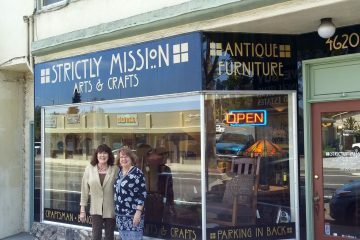 Stop in to Strictly Mission and say hello to Sharon. You will love the colors and patterns of this historic period. 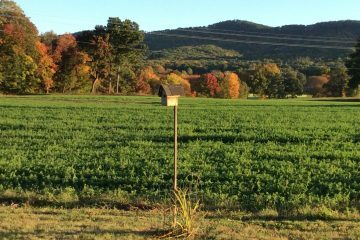 The Arts and Crafts movement began in England as a reaction to the mass production of goods and factory labor of the Industrial Revolution. One of the founders, John Ruskin (1819-1900) felt the industrial revolution had dehumanized the artisan, turning him into a machine and robbing him of his creativity. The William Morris & Co. in England pursued building homes that combined the skills of various craftsmen. The company became known for its work in paintings, carving, furniture, and printed fabrics. For a time, the art guilds and the traditional craft skills that were close to extinction, were revived. Inside Strictly Mission, find Michele’s 12×16 oil painting Hacienda Lupine, shown here between 2 mirrored vanities. In America, Gustav Strickly (1858-1942) published “The Craftsman” magazine, and brought home the idea of the craftsman house from his travels to England. In California, the bungalow was the style that took shape. Dark-wood paneled rooms and stained glass windows are features in the simple elegance of these homes. * Julia Morgan was especially active in creating this style of architecture. 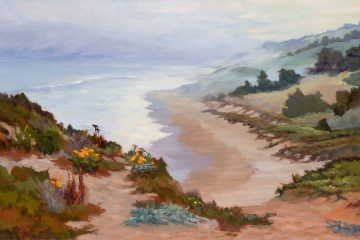 At the same time in the early 1900s, landscape painters were arriving from Europe with the idea of painting outdoors in the fashion of the French Impressionists. 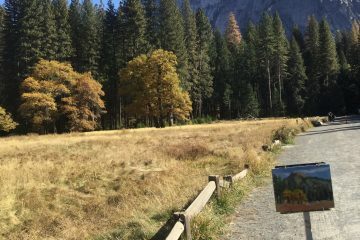 The western landscape inspired many great paintings. This was the style of painting before World War I and the Great Depression. 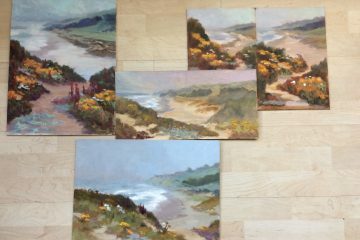 These landscape paintings adorned the walls of the early Craftsman homes. 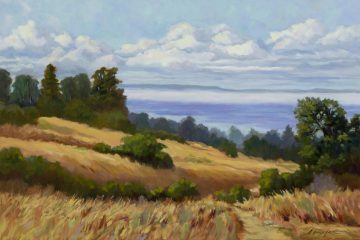 Landscape paintings and craftsman furnishings are a historical pairing.